If your staff or customers are suddenly without urgent supplies Dyno can provide the perfect solution. 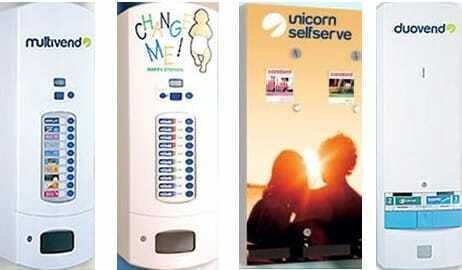 From nappy vending machines and dual sanitary units through to multi vends which can consist of a wide range of high street branded products, and a package to suit your business; e.g. sanitary, condoms, headache tablets, stockings and much more. All installed and replenished at a frequency to suit your needs.